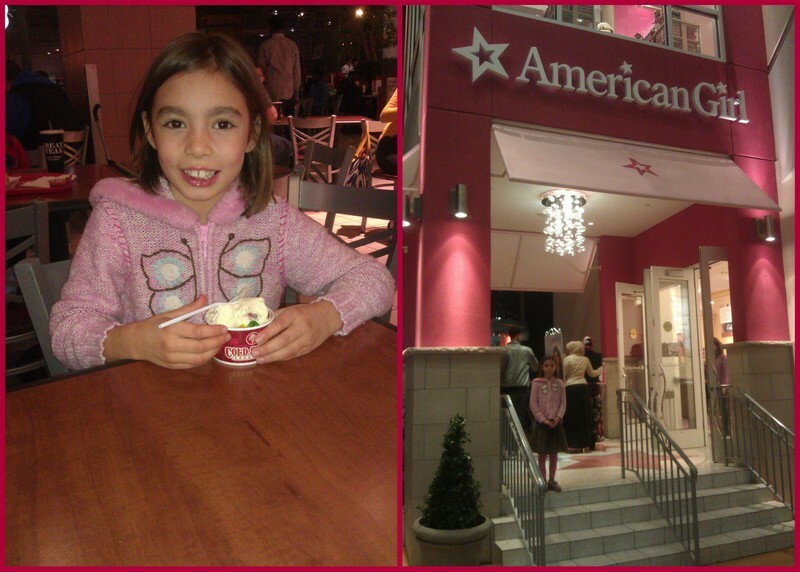 This week I’ll start out with a big highlight: Miss M finished RightStart Math Level C. Yea!!! This level of RightStart Math is pretty long, and from what I’ve heard many students take over a year to finish it. It took us 12 “school months” to finish (aka 15 months on the calendar, but we took nearly three months off from new lessons this summer and just did review!). Several of Miss M’s final 6 lessons of Right Start C this week focused on Tangrams. She completed an easier Tangram book when she was much younger, so she thought these would be a breeze. She was surprised by how tricky a few of the questions were, but in the end said the Tangram lessons were some of her favorite all year! For her final activity of RightStart C, Miss M and I played a game of Negative Corners on Friday (scores in the below-zero range and moving lower). Level D is ready and waiting, so we start that on Monday! I worked through 4 lessons of RightStart B with Mr. E. This was the section with the infamous “Cotter Fractal” involving potentially cutting out either 100 or 1000 tiny triangles and gluing them on bigger triangles in a nifty pattern. Mr. E kept saying he wanted to do all 1000…but after doing just one “10 Triangle” he’d had enough! I was more than happy to skip the rest of that activity (I skipped it the last time through with Miss M as well — I think it would be more fun with a group!). Mr. E really enjoyed adding big numbers with the base-10 picture cards, and then also with side 2 of the abacus. I love how RightStart emphasizes place value early on. Mr. E wanted to play games on Friday as well since Miss M got to do that with me, so we pulled out Speed and played games of 2, 3 and 5 speed. I don’t think I have mentioned it in any blog posts, but we got this game a month or so ago and really enjoy it. It’s a fun way to practice or learn multiples/skip counting. Mr. E and Miss M both love this game! Spelling: Miss M did all but the assessment for lesson 14 of Logic of English Essentials, while Mr. E finished lesson 3 and started lesson 4. I’m pretty much only doing phonograms and one round of spelling dictation with him — I am guessing I’ll go through another round of LOE-E with Mr. E when he is older. History: I finished one bedtime-read aloud with Miss M (A Little Maid of Old Philadelphia) and nearly finished another (Toliver’s Secret). We also started another “all together” read aloud (Ben and Me). Miss M read several books from our history book basket as well and we watched another episode of Liberty’s Kids. Science: Miss M finished Chapter 8 of Sassafras Science Adventures, the kids watched several “Happy Scientist” videos and we reviewed a few lesson on Air and Solid/Liquid/Gas from BFSU as I prepared to teach my co-op class for Thursday afternoon. Mr. E’s Reading: Mr. E read several BOB books from Set #4 as well as a few other easy readers. Co-op: The kids did “recitation” at co-op this week. All kids K and up pick something to memorize and recite. Miss M recited two short poems while Mr. E picked a Bible verse to recite. Upper Left: Annual Pumpkin Carving Night! Upper Middle/Right: Miss M and Mr. E are taking a weekly homeschool gymnastics class. We’ve done it for seven weeks with five more to go. Baby J really enjoys watching the kids. 🙂 This week Grandma Karen was visiting for a couple hours on gymnastics day, so she came along to watch (and read to Mr. K, who is just a bit too young for the class, unfortunately!). This week the gym was decorated for Halloween (Notice Miss M on the “witch swing”!). Have a wonderful weekend! We have a busy weekend ahead with a number of things planned…then next week we are looking forward to Baby J’s birthday and Trick or Treating! 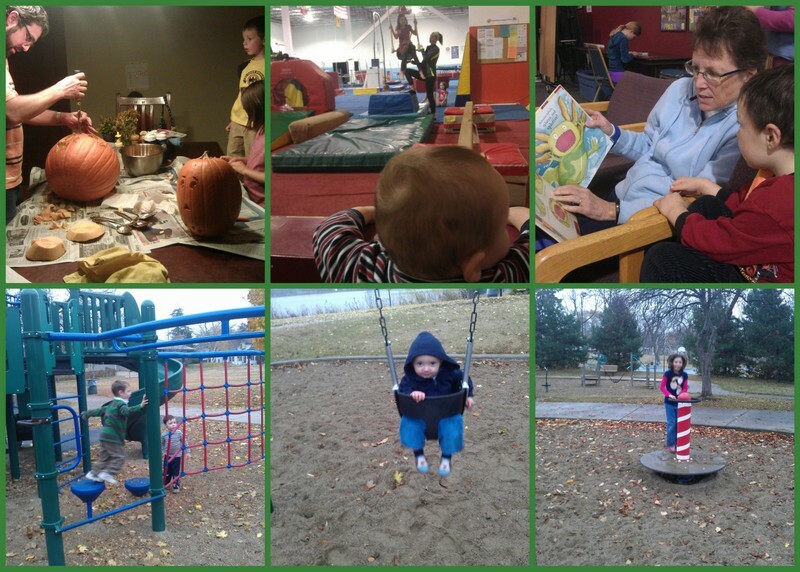 Collage Friday and the Weekly Wrap-Up! When I first started reading The Sign of the Beaver by Elizabeth George Speare, both Miss M and Mr. E begged for chapter after chapter of reading in the very fist sitting. Our pace slowed down after that, but both of them really enjoyed this book. In The Sign of the Beaver, 13 year old Matt and his father have traveled to Maine to get land and build a cabin in the late 1700’s. With the cabin built, Matt’s father leaves to retrieve the rest of their family while Matt stays behind to guard the cabin. While alone in the wilderness, Matt faces challenging circumstances — and also finds an unlikely friendship with an Indian boy named Attean. Unlike many historical fiction novels set in early American history, this book portrays a really positive relationship between Native Americans and settlers — even if it is just one young settler in this story. Attean has things to learn from Matt as Matt tries to teach him to read English. But Matt seems to learn far more as he learns from Attean how to survive in the wilderness with limited supplies. This might be my favorite read-aloud so far of this school year. I think the kids might agree — it was one of those kind of books that make you a bit sad at the end that the story is already over. I made a conscious decision to read The Sign of the Beaver to the kids before reading them The Matchlock Gun by Walter Edmonds. These two books take place in the same general time frame, but The Matchlock Gun is set in a time and place of armed conflict between settlers and Indians. This short chapter book (or you could possibly call it a long picture book), tells the story of the Van Alstyne family near Albany, New York around 1757. As Teunis Van Alstyne leaves to do his duty with the village militia, Edward and his mother and sister are left behind on the family farm to defend it against the possibility of attacking Indians. What seems like a remote possibility at first becomes more and more real as the story progresses, to the point where Edward must truly use his Grandfather’s Matchlock gun than even his father has never fired. The boys in particular seemed to enjoy the suspense and excitement of this story (Mr K even listened, thanks in part to lots of pictures and a bowl of popcorn! ), while Miss M thought it was just “okay”. This Newberry Award winner published in 1941 is not without controversy. Many reviewers on Amazon labeled this book as racist — and I have to admit, I can kind of see why. The illustrations are kind of “cartoonish” in a way — playing on the fears of what scared settlers probably saw in their minds’ eye as they imagined the possibility of being attacked by local Indians. There is also one paragraph in particular that describes how Gertrude Van Alstyne saw the Indians coming through the woods , and describes them as looking less than human. I will admit, I skipped this paragraph when reading out loud to the kids. The Matchlock Gun is based on a true story that was handed down through the Van Alstyne family. You can imagine that as a story like this of frightening attack is told time and time again, the tone of the story would be of fear and the heroism of the boy who defended his family — not of the potential grievances the Native Americans had against the settlers, or of other nuances of the French and Indian wars. So given that perspective, and the age of the book, I feel like I can forgive its potential offenses. But, this is why I read this book to the kids after Sign of the Beaver — so we could discuss how different each boy’s experience was with the Native Americans and why. I’m linking up with Read Aloud Thursday @ Hope is the Word! Our second unit or topic for our US History studies this year was the early settlers through the pre-revolutionary colonial period (approximately 1609-1780 — Check out my post last week about our studies of American History prior to European settlement). We just finished this unit up the week before last (although last past week we were still finishing up a couple read alouds that fit with this time period). I originally planned nine weeks for this unit — that turned out to be way too long! We ended up spending about five weeks (or was it six weeks?) on this topic. The vast majority of books we found for our “book basket” in particular focused on the topic of the Pilgrims and the Mayflower (and fewer about Jamestown, the Puritans, the French and Indian Wars, and everything else in between). And we read two longer chapter books about the Puritans. So by about the fourth week, Miss M let me know that she felt like we had been talking about Pilgrims and Puritans forever. Miss M enjoyed all these books, and although I am not sure she would have picked any of these completely on her own, she seemed eager to read them most days. I keep forgetting to ask her which was her favorite — but just judging by her tendency to read more than the minimum assigned amount of reading on a given day, it might have been Pocahontas the the Strangers. We again had a full book basket of picture books for this topic, weighted heavily toward books about the Mayflower and the Pilgrims. Miss M’s favorite books were again titles from the “If you lived…” series, while the boys really enjoyed the humorous tone of “You wouldn’t want to Sail the Mayflower”. We also read two titles in the American Story series by Betsy and Guillio Maestro — The New Americans and The Struggle for a Continent — to give us an overview of the entire time period. The boys particularly enjoyed the latter due to all the information about battles in the French and Indian wars. 🙂 A somewhat complete list of books we had in our book basket can be found in the file linked to on my US History Year One page. Despite spending a lot of time browsing through craft and activity books, Miss M only selected one craft during this unit. She made her own ink using strawberries, and then used a feather she found as a quill pen. We didn’t attempt any other written work during this unit. Miss M has little interest in notebooking or lapbooking at the moment. I am encouraging a bit more notebooking for science, so I am not going to force it with history. I ask her to tell me about what she read (oral narration) and we are calling it good at that. Given that we’ll cycle back to American History about four years or so, my main goal is just exposure and introduction to the key concepts. I’m imagining that by middle school (when we do American History again) Miss M will be far more ready for serious notebooking, timelines and maps! This week was definitely a little more on the out-of-the ordinary side. Tony was gone from Sunday through Wednesday morning for a work trip. Then Sunday night baby J started running a fever, causing a few changes to our plans. Between the fever and teething, J did not sleep well those nights Tony was gone. I was pretty tired, but luckily coffee was my friend and I made it through. 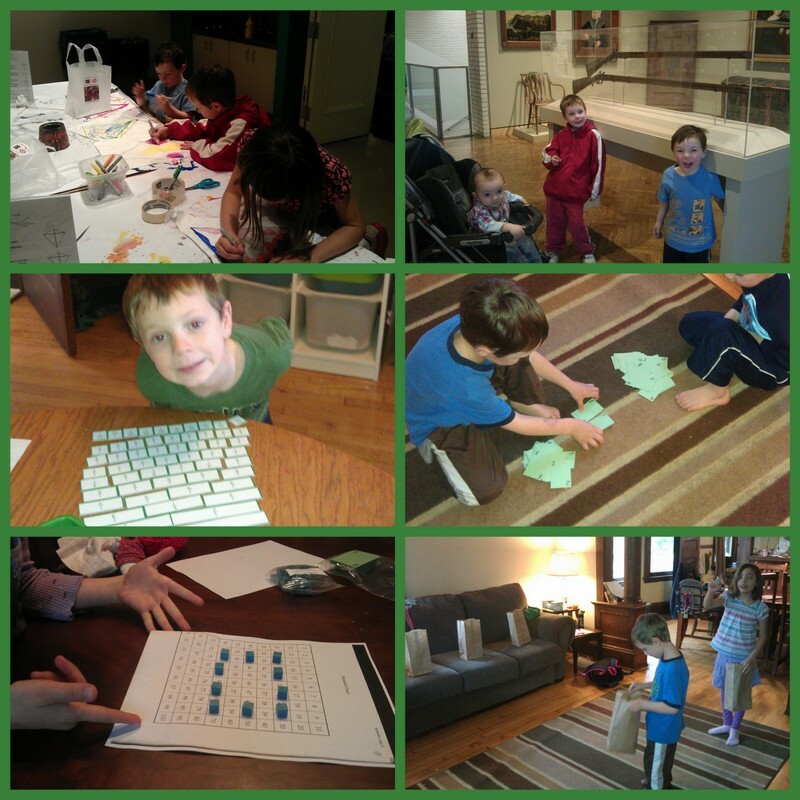 Art Museum Trip (Top Row): On Sunday afternoon we went to Family Day at the Minneapolis Institute of Art. 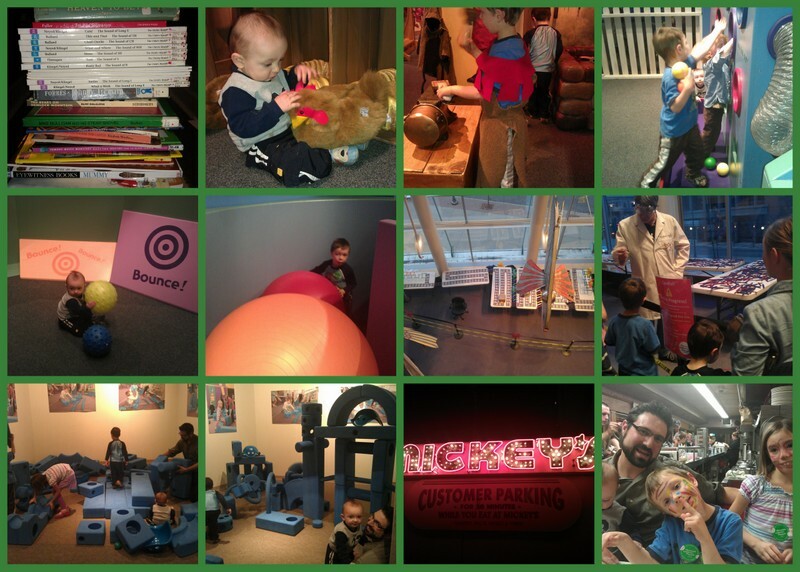 The MIA’s monthly family days feature hands-on activities revolving around a specific theme. This month’s theme was “Sky”. The kids made sun catchers and kites and watched a short planetarium show in a mobile planetarium brought to the MIA from the Bell Museum of Natural History. One highlight for the boys was a display of guns we spotted while on the way to one of the activities. They were excited to see some muskets that are probably a little bit like some of the guns we’ve been reading about in our American History studies! Lots of Math (Middle Row & Bottom Left): We had a very “mathy” week here. Most of the lessons on the schedule for Miss M (3rd grade) in Right Start C were involving fractions, so I declared a “Fraction Fun Day” on Wednesday. You can read more about that in this post. Mr. E (Kindergarten) loves fractions too. I was amazed on Monday when he started answering the questions I was asking Miss M as a part of her math lesson! So, instead of his regularly-scheduled math lessons, I went over a lot of the same material on fractions as I was covering with Miss M, but in a bit less depth. He was so proud of himself for assembling the whole fraction chart on his own! He also did lesson 36 in R.S. level B (the main highlight of that lesson was playing addition war). 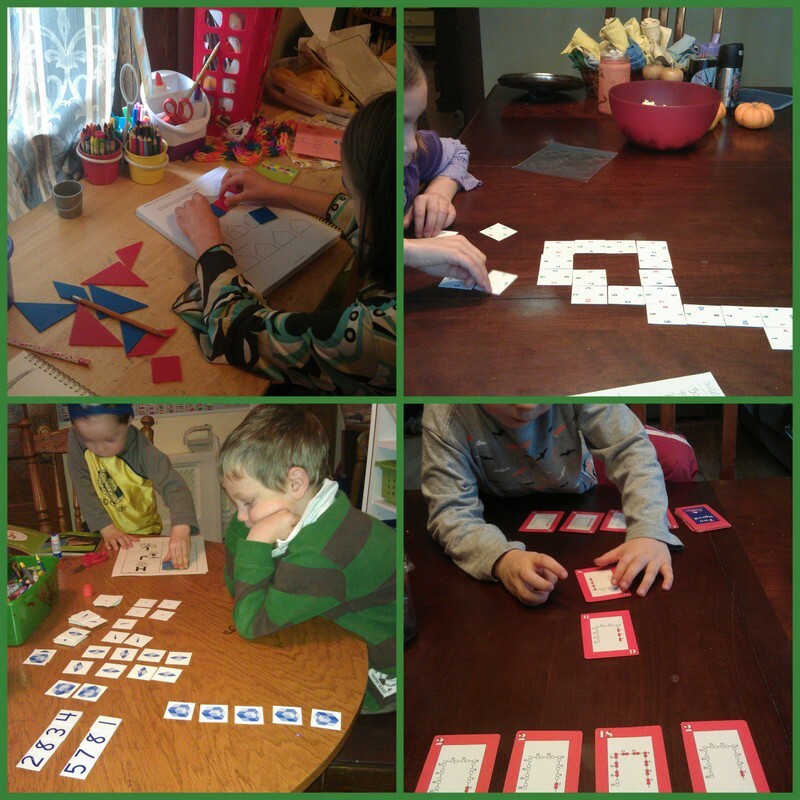 Lots of math card games were played at our house this week. Besides the Addition War that I played with Mr. E, I played the fraction games “One” and “Fraction War” with both of the older kids. Mr. E and Mr. K (Pre-K, age 3.5) even played regular War with number cards together! Miss M was grasping concepts quickly this week, and somehow we flew through the content of seven lessons (137-144) this week! We didn’t do all the multiplication practice associated with these lessons, but that will come. I told Miss M I wanted her to do 15 minutes of multiplication practice each day. She’s not super fast at it yet, but that amount of time is just right to help her not get too stressed out about finishing a certain # of problems. History: We finished up a couple read-alouds from the Colonial/French and Indian Wars period (Sign of the Beaver and The Matchlock Gun), and started reading the next book in the American Story series by the Maestros covering the Revolutionary War (Liberty or Death). Miss M read a number of books about this next topic from our “book basket”, and we also started watching the animated series “Liberty’s Kids” that takes place during the Revolutionary War. Episodes are available on youtube, and we watched the first four of them. Science: We didn’t do a lot of science this week other than Miss M completing one more chapter of Sasafrass Science Zoology, and the boys enjoying a few more library books about space. Mr E started reading set 4 of BOB books as well as a few other readers. Check out my post from earlier this week about books for new readers if you are looking for easy reader book ideas. After checking out one of my favorite regular book sales (a semi-annual library sale in a suburb 20 minute from home), we went to the Minnesota Children’s museum to see two new exhibits (The Amazing Castle and Ball-O-Rama), and a special demonstration by The Kinetic King — a guy you may have seen on America’s Got Talent if you were watching in the summer of 2011. He does “Kinetic Sculptures” that “explode” in a matter of seconds. It’s pretty amazing to watch thousands of craft sticks flipping up in the air in sequence! After our museum exploration we had a late dinner next door at Mickey’s Diner — a well-known local establishment. I’m linking up with Collage Friday and the Weekly-Wrap Up! After giving Miss M a light list of independent work to complete and having Mr. E practice reading, we dived right into our fun math topic for the day. We had already been working on Fractions for a couple days before Fraction Fun Day (the picture shows Mr. E putting together the RightStart fraction chart on Monday), so our first activity was fraction art — the kids made kites from 1 inch graph paper I printed out, and we figured out what fraction of their kites were comprised by each color. They also made “fraction ice cream Sundaes” and we decided what fraction of the ice cream was represented by each flavor (free template here). After the art work I treated the kids to a fraction-related snack — Hershey chocolate bars! 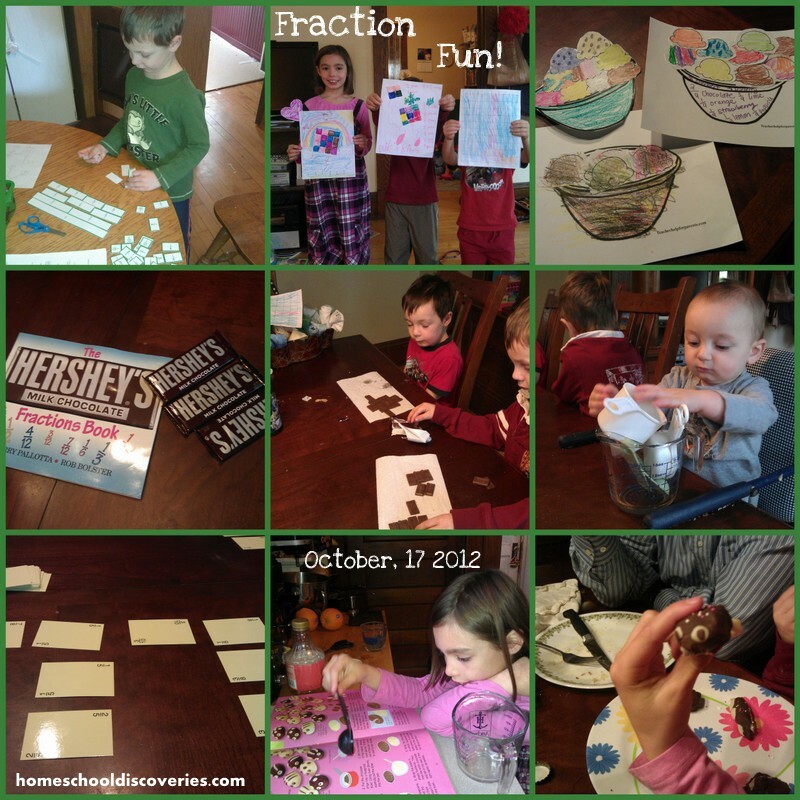 We worked through the Hershey Fractions Book together and the kids made the various fractions found in the book (and other fun designs). After reading just a bit about the ingredients of a chocolate bar in the book, we just had to learn more about chocolate making! This video and this video from youtube were very informative! We also discussed ways we use fractions in everyday life: cooking, time money, etc (baby J thought the measuring cups were great fun to play with!). RightStart’s card games set comes with a deck of fraction cards. We used the cards to play a game called “One” (the object of the game was to make rows of fractions, and be the player to lay down the card that will cause the row to equal one). We also played Fraction War. Finally, a fraction fun day would not be complete without using fractions for some fun cooking! I suggested cookies, but between the fact I was missing ingredients for a recipe I really wanted to try, and the fact that Miss M had her heart set on using a recipe from one of her cookbooks, we decided to go with making candy critters instead. This was fun activity that kept the kids busy for quite a while in the afternoon of our Fraction Fun Day! Credit for inspiration for some of these activities goes to this post from Mary @ Homegrown Learners and some of the fraction-related posts @ Step Into 2nd Grade. We had a “Fraction Fun” day yesterday (look for a post coming soon about that! ), but I wasn’t really on top of requesting any thematically-appropriate books from the library. So, we read a different math picture book instead! Mr. E and Miss M both really enjoyed You Can, Toucan Math by David Adler. Each page features a math problem written in rhyme with an illustration that gives clues to the solution. My kids like “story problems” (as I remember calling them when I was a kid! ), but our math curriculum (RightStart) doesn’t use as many of these as do some curricula. Books like this make a fun supplement! Most of the math operations were in the “easy and fun” category for Miss M (3rd grade), while some were a bit over the head of Mr E, but he figured out the answer to a good many of them (He’s in Kindergarten, but is advanced in math). I’ve mentioned the American Story series of picture books in some of my recent posts about our history studies, but I think they bear mentioning again. This seven book series of American History picture books by Betsy and Guilio Maestro covers the time period from the era before Europeans arrived to about 1815. These books are fairly detailed, but not so much that Mr. E can’t follow it. Even Mr. K (age 3.5) will sit and listen — especially if fighting is involved. 🙂 The pictures are really gorgeous in these books. Even though they are picture books, they are not “too young” for Miss M by any means. I even learned a lot from reading Struggle for A Continent, a about the French and Indian wars (a time period I had never learned very much about!). We find a lot of interesting science books in the non-fiction section — some are more memorable than others. One series I actually like is the Cat in the Hat’s Learning Library. Now before you throw tomatoes for liking something that seems a bit inane, hear me out. 🙂 Okay, yes these are not classic Dr. Suess by any means, but I really admire how they work a ton of information into rhyming format in this series. I would much rather put up with a few slightly off kilter rhymes than some of the dull sentences I’ve read in other science non-fiction books. We read three of these books in conjunction with our science studies in the past few weeks: Is a Camel A Mammal, Oh Why Oh Why Are Deserts dry and Safari So Good. These books are a good read aloud for my Pre-K and K’er, and even my 3rd grader really enjoyed reading them on her own. From the Biography section a recent favorite was Wanda Gag: The Girl Who Loved to Draw, by Deborah Kogan Ray. Wanda Gag has always been a bit of a favorite of mine since she hails from a town I called home for about four years a child — New Ulm, Minnesota. This book does a great job telling Gag’s life story, Miss M read it several times, Tony read it aloud to the boys…then I just had to read it to myself! I’m linking up with Read-Aloud Thursday @ Hope is the Word. Despite the best of intentions to keep track on a weekly or bi-weekly basis of our American History reading and activities, we’ve now finished two “units” or topics of our self-designed American History studies without a post detailing what we did. I’ll share a few thoughts here about our first unit (as much for my own benefit as for anyone else’s — so I can remember what I might want to change as we come back around to American History in a few years! ), and you can also refer to my general overview page of our US History studies for the year. I’ll be following up soon with a post about our second unit about the early settlers/colonies. My goal with our first topic — Native Americans and Explorers — was to expose the kids to some information about what was going on here in North America before Europeans came to stay. We had read about some of the early European explorers of South American and Mexico last year in Mystery of History Vol. 3, but I purposely skipped over Christopher Columbus and the early North American explorers to save them for our US History studies. Next time around, I think I might do things a little bit differently. I think I would incorporate the explorers into world history of that period (with MOH III or another resource), and spend less time at that point on the American Indians. When I planned the schedule for this year I didn’t realize, first of all, how many of the resources available regarding various Native American tribes are full of information about how these people groups lived after the Europeans arrived. Secondly, there are many opportunities to read about Native Americans throughout the settlement/colonial period and beyond. I assigned Miss M to read Pedro’s Journal and Conquista. She didn’t really enjoy either one of these very much! I also expectd her to read the Kaya American Girl books, but after reading part of the first one, she let me know that she really wasn’t interested. Miss M also read a number of shorter non-fiction and fiction books from our book basket. 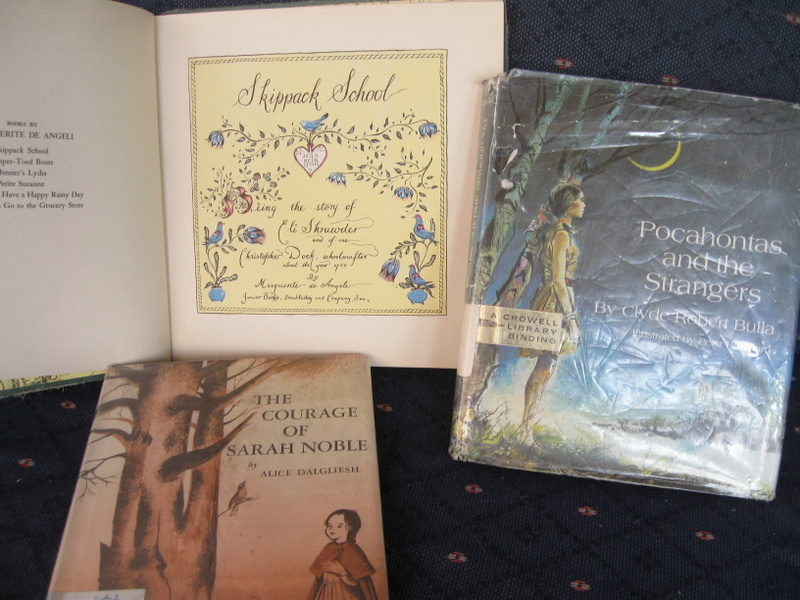 She really likes the “If you live with…” series of books such as “If you lived with the Sioux”, as well various picture books focusing on Native American legends. She didn’t care as much for some of the other informative books I selected from the library on various tribes and explorers. The boys also occasionally asked for some of the book basket books to be read to them, but not super often during this unit. We only completed one chapter book read aloud during this unit, and started one more that we elected not to finish. You can read more about these two books in this post. My favorite “overview” resource is The American Story series by Betsy and Giulio Maestro. This series of picture books takes American history from the time before European explorers to 1815 over the course of seven books. We read the first two for this unit. As far as written work or projects beyond all our reading, the kids did do one project from the Native Americans History Pockets book (which Miss M declared to be “far too easy.”). There was very little interest from Miss M or Mr. E in completing any other written projects (lapbook pieces, notebooking, other History Pockets). 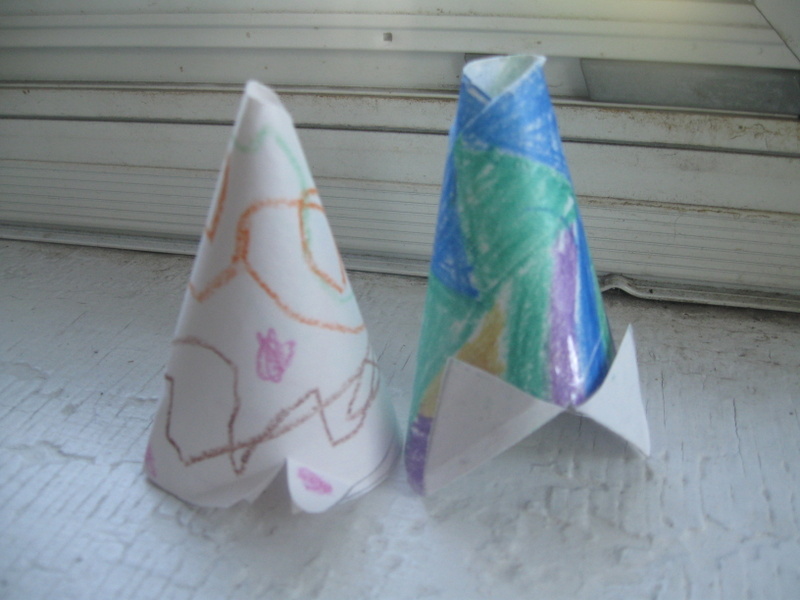 The kids did do a few crafts from the book “More than Moccasins,” like these paper tepees. In our history studies so far I’ve been amazed by my kids lack of interest in doing much of any written/tangible work or projects. I’m not going to force it or make a big deal — after all, I am pretty confident that my kids already know more about early American history than I did up until this year since due to various moves as a child I never had the “first half” of American history with much of any depth at all (though I had the “second half” of American history twice! ).